Len has converted the best-selling C-WIN+! into software. C-WIN+! 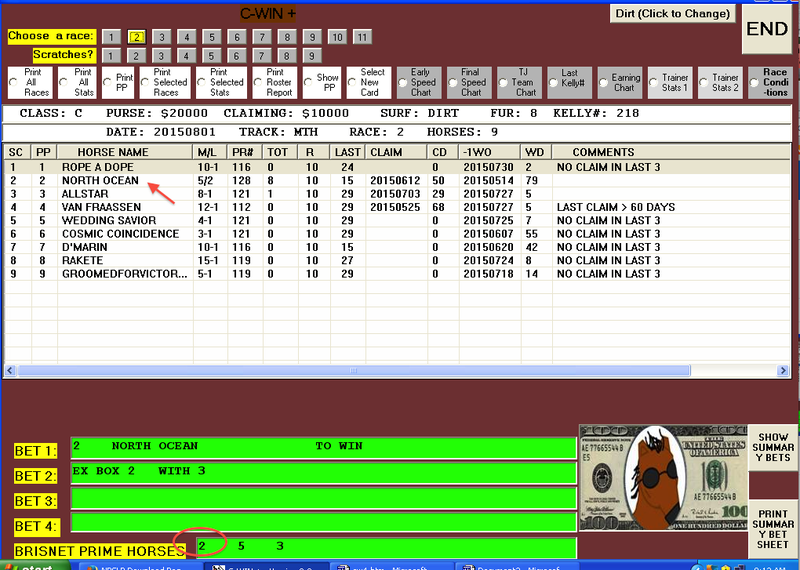 is a very accurate claiming-race handicapping device that employs elements that are largely ignored by the general public, thus insuring high average mutuel payoffs. It’s all explained below. 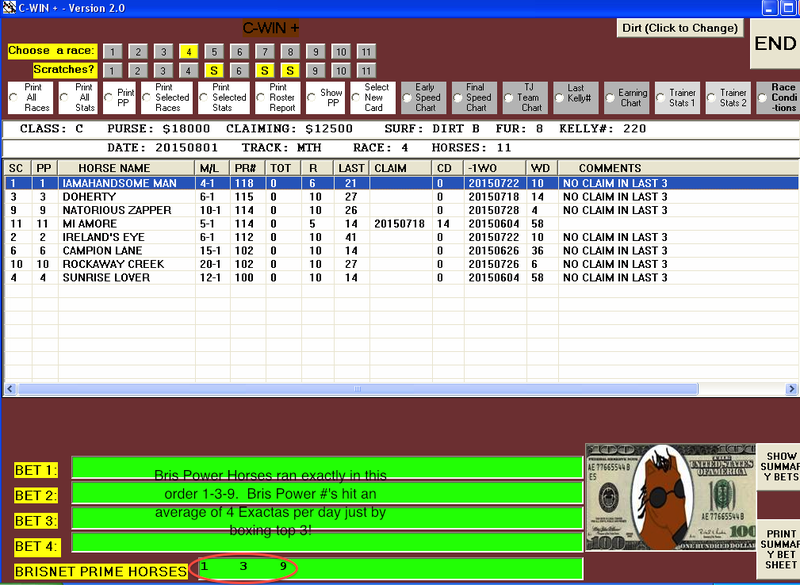 Many of you have seen Bris Power in action and several have asked if it could be included in a future software program. Well, here it is, with in it’s own private column with emphasis on the top three scorers in the boxes below. Great for picking winners, of course, and super-duper for grabbing Exactas just by boxing the top three Bris Power horses. 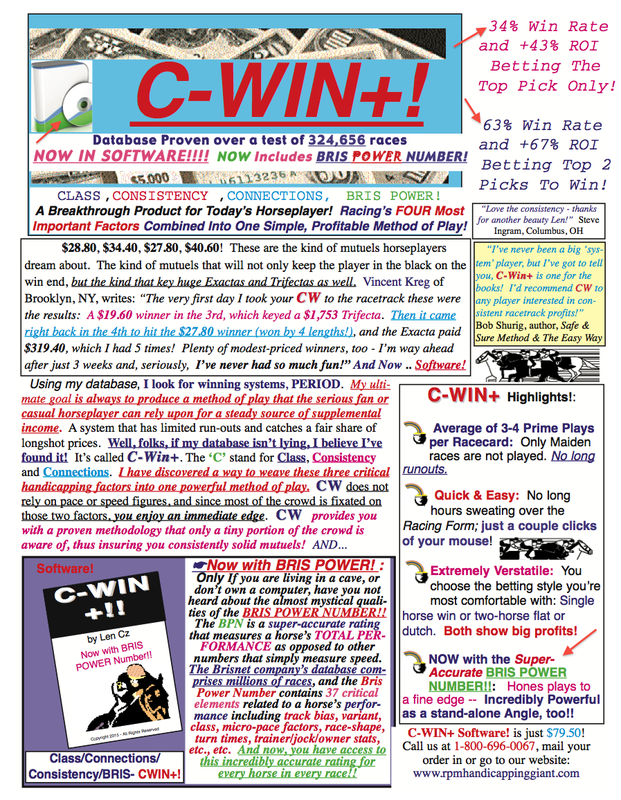 Below a screenshot explaining all of the C-WIN+! columns. 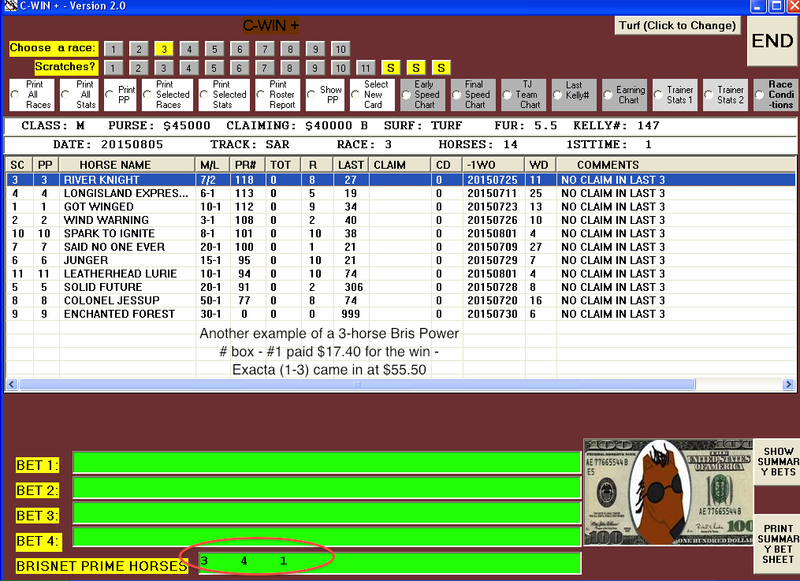 Note that in this race a 3-horse box of the Bris Power Numbers returned a $57 Exacta, one of 6 Exactas using the box strategy on this day at Monmouth. When the software produces a C-WIN+! suggestion who is also one of the top Bris Power Number Horses, look out! North Ocean was an easy winner. Can’t tell you how many times we have seen this happen, but it’s pretty darned often – the top three Bris Power Horses run 1-2-3! 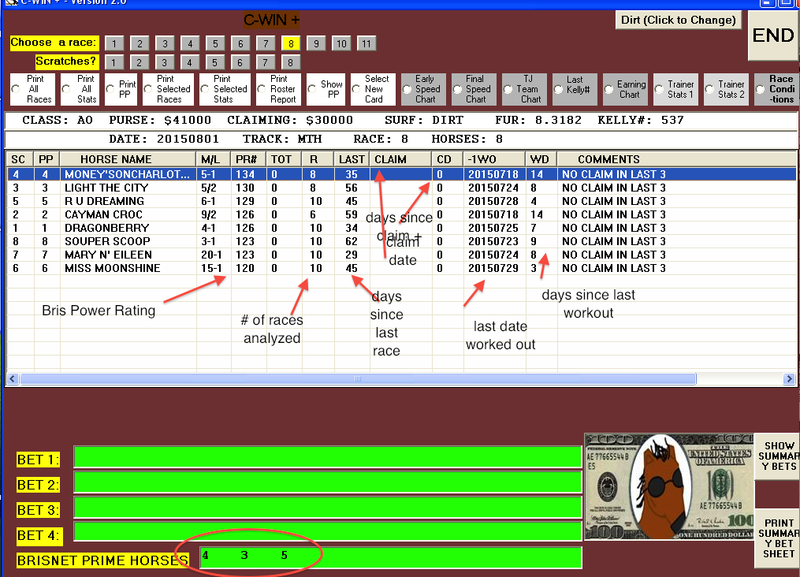 And we have priced the software very reasonably, just $79.90, for which you will have in your possession the 1-2 Punch of the C-WIN+! Spot play system and the supreme accuracy of the Bris Power Numbers!